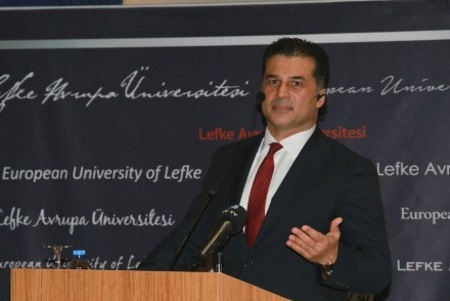 Prime Minister Hüseyin Özgürgün visited Lefke, the sixth District of the TRNC, and made a presentation at the conference entitled “Cyprus’s Past, Present and Future”. In his speech, Özgürgün talked about the taking over of Cyprus by Britain, the initiatives to unite Cyprus with Greece, how EOKA and TMT were established and the negotiations continuing today. Özgürgün stated that the Greek Cypriots’ claim that the island has been divided into two parts with arrival of Turkey in 1974 does not reflect the reality as Turkey intervened in Cyprus in 1974 using the right given by the Guarantee Agreement. Özgürgün emphasised that at the talks in Switzerland starting on 9 January 2017, the Greek Cypriot side and Greece will demand the removal of Turkey’s right to intervene. This will cause problems, he noted. Özgürgün stated that the Annan plan provided for the return of one third of the territory under the control of the Turkish Cypriots to the Greek Cypriots. The Prime Minister noted that the Annan plan was refused by the Greek Cypriots with 75% of the votes since they wanted much more territory, and afterwards, the decision to lift the isolation imposed on the Turkish Cypriots was refused at the UN Security Council. Özgürgün also said that the Greek Cypriot side’s accession to the EU is used as an obstacle in Turkey’s EU negotiations. Foreign Minister Tahsin Ertuğruloğlu, who went to Ankara for a series of official meetings, was received by Turkish President Recep Tayyip Erdoğan on 27 December 2016. Ertuğruloğlu was accompanied by the Turkish Foreign Minister Mevlüt Çavuşoğlu. The meeting – which was closed to the press – took place at the Presidential complex. In yesterday’s meeting, Çavuşoğlu and Ertuğruloğlu exchanged views on the Cyprus negotiation process. Cooperation between the two ministries was also discussed. Ertuğruloğlu was also received yesterday by the Turkish Deputy Prime Minister Tuğrul Türkeş. The latest developments between the two countries were discussed. The Foreign Minister returned to the island yesterday evening after completing his official visit. Minister Ertuğruloğlu was accompanied by the Undersecretary at the Ministry of Foreign Affairs, Mustafa Lakadamyalı during his meetings. 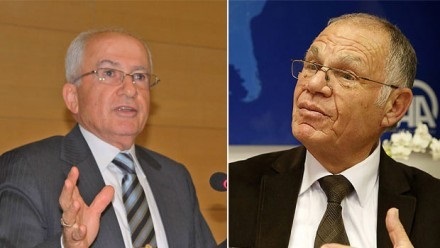 Former negotiators Ergün Olgun and Osman Ertuğ have stated that they perceive the Greek Cypriot side’s insistence on attending the Cyprus conference as the so-called Republic of Cyprus as a precondition attempted at legitimizing the defunct Cyprus Republic. They also stated that the Turkish Cypriot side should stand up against this issue and should not accept it. The two former negotiators who issued a written statement evaluating the upcoming Geneva summit, claimed that the Turkish Cypriot side should not attend the talks in Geneva should the United Nations attempt to invite the Greek Cypriot side as ‘the Republic of Cyprus’ or if the Greek Cypriot side carry out a fait accompli on the issue. They stated that should such an attempt be made, the Turkish Cypriot side should react in the strongest way. In their joint statement, they pointed out that the announcement made by the UN regarding the conference on Cyprus set to take place in Geneva next month was explicitly clear as who would be taking part. Olgun and Ertuğ said that “no one apart from the two sides in Cyprus and the three guarantor powers Turkey, Greece and the UK will be sitting at the table”. The two former negotiators stated that it was unnecessary for other actors to be present at the conference on Cyprus which will be held within the framework of the Good Offices Mission of the UN Secretary General in a format similar to the Bürgenstock meetings in 2004. “It is our firm belief that the participation of actors, other than those stated, will only serve as an obstacle to achieve results from the summit” the joint statement read. This entry was posted in News and tagged 5-party Conference Geneva, Cyprus negotiations, Ergün Olgun, Hüseyin Özgürgün, Lefke University, North Cyprus, Osman Ertuğ, Tahsin Ertuğruloğlu, TRNC. Bookmark the permalink.